Allpresan PRO Footcare is the only Foot Care company that combines the innovative, patented LIPO2 Skin Repair Technology and the proven BarriorExpert® Foam Cream Technology. The effectiveness of skincare products is greater depending on the similarity of the product components to the natural components of the skin. 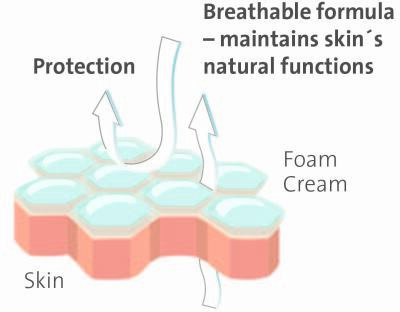 The basis of the LIPO2 Skin Repair Technology is imitation of the skin’s own lipids. The lipids used in the LIPO2 Skin Repair Technology behave like the skin’s own lipids, i.e. they position themselves in the typical double layers, just like the natural lipids.